Islands Nationair is a national Papua New Guinea company, owned by Sir Julius Chan, Prime Minister of Papua New Guinea, and Captain David Pidduck from New Zealand. Islands is the major helicopter operator in Papua New Guinea. It began operations with one Bell Jetranger which supported gold exploration in the New Guinea islands region. It was involved in the preliminary assessment studies for Kennecott’s Lihir goldmine in the New Ireland Province. In 1985 Islands Aviation brought the first Bell Longranger Helicopter to Papua New Guinea. The additional seating and lifting capacity of the Longranger made it an ideal craft for PNG. In 1988 Islands became involved in supporting oil exploration and in seismic surveys. August 1990 saw the completion of the most ambitious seismic survey ever carried out in PNG. Three Longrangers based in the Strickland River area of Western Province flew 7,500 incident-free hours over a two and a half year period. It marked Islands’ importance for future oil and gas exploration. Islands Nationair now operates nine Longrangers, three in Mendi in the Southern Highlands, two in Lae in Morobe Province, two in Port Moresby, one at Rabaul in East New Britain and one in Mt. Hagen. 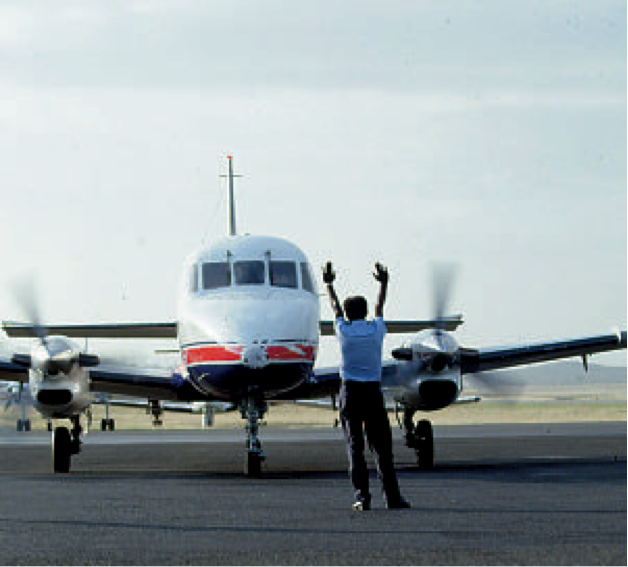 In 1990 the company expanded into fixed-wing, regular public transport (RTP) operations. It is now the second largest third level carrier in PNG transporting passengers on routes over East and West New Britain and New Ireland with its scattered smaller islands. It flies the popular Twin engined Otters, Kingairs and several other smaller aircraft including a Cessna 206. Since 1987 maintenance has been carried out by Aircair Pty Ltd of Lae. In 1989 a new hanger/workshop was built at Rabaul. Unfortunately the volcanic eruption in September 1994 totally destroyed the entire Rabaul facility. It was a major setback. The company set up a temporary base at Tokua and moved the engineering facility to Port Moresby. Meanwhile maintenance of B200 and Bandierante aircraft is being carried out in Cairns, while Twin Otters and pistonengine aircraft are maintained in Port Moresby. All helicopter maintenance is conducted at Port Moresby or in the field. The company owns and operates a small hangar at Mendi in the Southern Highlands. Key personnel are Captain John Thomas, General Manager and Finance Controller and Working Director Ken Trezise. Previous Managing Director David Pidduck is now employed as special consultant and is involved in client liaison, promotional activities, and co-ordination of helicopter operations. Currently Islands Nationair is operating a full RPT, Regular Passenger Transport, schedule and is working to consolidate that position. Helicopter activity may increase. Islands Nationair has grown in well-planned stages and this policy will continue into the future.